Alyssa Kincaid knows she needs to make some big changes. A move to San Francisco is the first step. Now it’s time to get serious, and to get the rest of her life on track. If only her messy life would cooperate. And if only it had Joe Hartman in it. Joe knows one thing for sure: Making a move on his best friend’s little sister, the beloved youngest sibling in the closest thing to a family he’s got, would be asking for trouble. Unfortunately, Alyssa always does seem to be asking for trouble. And it’s getting harder and harder for Joe to resist answering. 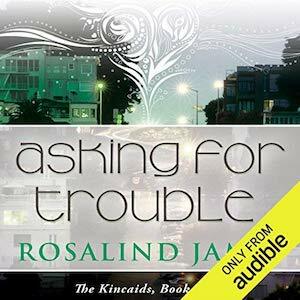 Asking For Trouble is available on audiobook in the United States, Great Britain, Canada, Australia, and Germany.